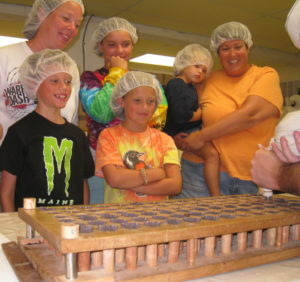 Factory Tours – Chocolates by Leopold, Inc.
Chocolates by Leopold creates every chocolate in our factory in the heart of Montrose, PA. Our customers enjoy watching this process as much as Leopold and Tom enjoy demonstrating it. Come watch gourmet chocolate making yourself. The tours are free for groups of 6 or more. Reservations are required. Please contact us or call (570) 278-1230 to schedule your tour.